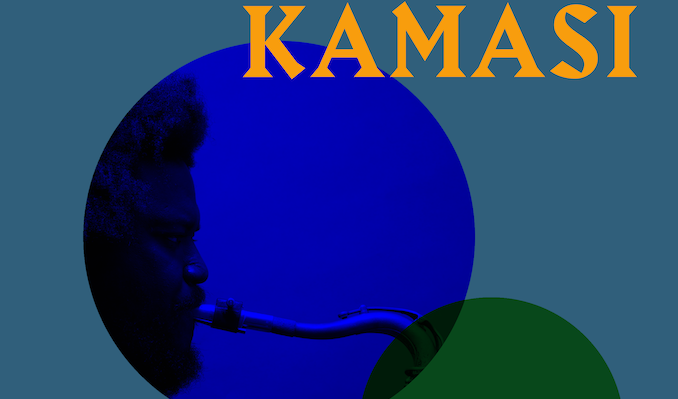 When Kamasi Washington released his tour de force LP, The Epic, in 2015, it instantly set him on a path as a torchbearer for progressive, improvisational music that would open the door for new audiences to experience music unlike anything they had heard before. The 172-minute odyssey featuring his 10-piece band, The Next Step, was littered with elements of hip-hop, classical and R&B music, all major influences on the young saxophonist and bandleader, who exceeds any notions of what “jazz” music is. Released to critical acclaim, The Epic won numerous “best of” awards, including the American Music Prize and the Gilles Peterson Worldwide album of the year. Washington followed that work with collaborations with other influential artists such as Kendrick Lamar, Run the Jewels, Ibeyi, and John Legend, and the creation of “Harmony of Difference,” a standalone multimedia installation during the 2017 Biennial at the Whitney Museum of American Art in New York City. The fulfillment of Washington’s destiny begin when at age 13, Washington picked up his musician father’s horn and proceeded to play the Wayne Shorter composition “Sleeping Dancer Sleep On” despite never touching a saxophone or knowing how to play. After deciding to commit to his instrument, he became, lead tenor saxophone chair at the Academy of Music and Performing Arts at Alexander Hamilton High School,, where he started his first band—Young Jazz Giants—with pianist Cameron Graves, Thundercat, and Ronald Bruner, Jr. Following his sophomore year at UCLA, Washington went on his first national tour with West Coast hip-hop legend Snoop Dogg, performing alongside some of the most talented young musicians in the country. Later that year, the young saxophonist joined the orchestra of Gerald Wilson, one of his biggest heroes. After graduation, Washington toured with Grammy Award-winning producer, singer and songwriter Raphael Saadiq, and later that year, returned to Wilson’s band on the album In My Time. His mass appeal continues to grow drawing vibrant, diverse, multi-generational crowds to his shows at the world’s most prominent festivals such as Coachella, Glastonbury, Fuji Rock, Bonnaroo and Primavera. A prominent journalist recently summed it up best when he wrote “in a millennium largely absent of anything new or captivating in the jazz idiom, Washington has just unleashed a musical hydra grounded in respect and intimate knowledge of the past and striking far out into a hopeful future.” Next up for Washington is the highly anticipated Harmony of Difference EP, due for release this Fall and his sophomore album slated for 2018.